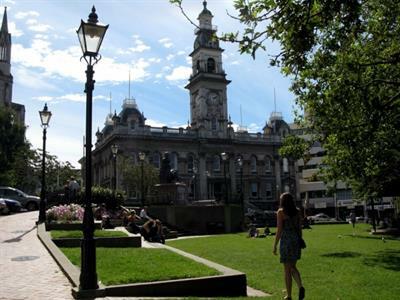 Meet your guide at the Private Tours meeting point inside the port a short walk from the gangway and then we will begin our small and intimate tour through one of the most historic city's of New Zealand. Departing Port Chalmers, we follow the harbourside road into the city for our first stop at the iconic Railway Station. 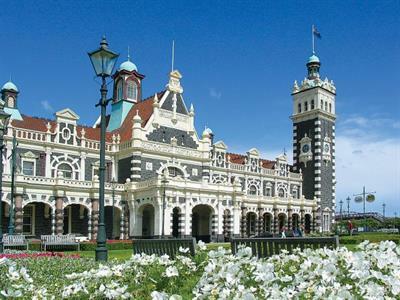 Time to look around this architectural gem of a building and perhaps watch the Taieri Gorge train depart on one of the world's most famous train trips. 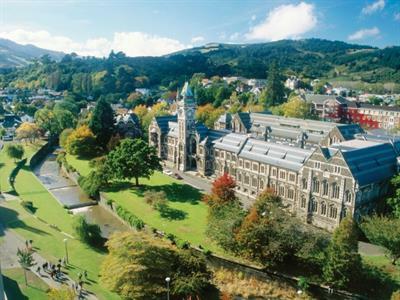 Then its just a short drive to New Zealand's oldest university, Otago, where in term time the area will be busy with students as they make their way to lectures. Our next stop is The Octagon which is the heart of Dunedin and here we have time for photos and a quick coffee stop if you wish. 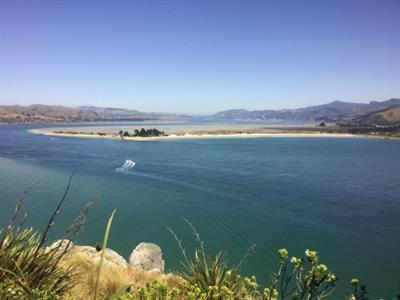 Leaving the city centre, we now head out to the Otago Peninsula, taking the High Road we will have stunning views over the Dunedin Harbour and city far below. 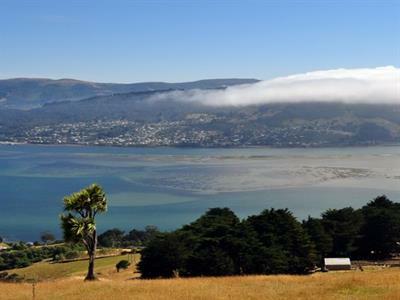 Next is the famous Larnach Castle, sitting at the peak of the Peninsula, you will see amazing views from the impressive gardens and grounds. If you wish you can take a self guided tour of the Castle [extra charge applies] and climb the spiral stairs for views from the tower. The Ballroom Cafe is our lunch venue [at your cost] and we have reserved tables for our group. Following lunch we return to Dunedin along the harbour road as it winds its way around the many bays, keeping an eye out for the wildlife that is common in this area. Our last stop of the day, Baldwin Street, reputedly the world's steepest, feeling fit? See how far up you can walk! Please note that the order of the tour may vary depending on the weather conditions, ships arrival times and traffic issues. Baldwin Street, the worlds steepest!